Last week, the western black rhinoceros was officially declared extinct by the International Union for the Conservation of Nature. The organisation, which is the world’s largest conservation network, maintains a “red list” of animals which are in danger of becoming extinct. The western black rhino is a subspecies of the black rhino, which is currently listed as “critically endangered”. The official declaration of extinction of the western black rhino comes just weeks after a Texas hunting group announced its intention to auction off a permit to hunt a black rhino, drawing harsh criticism from conservation groups. The western black rhino was last seen in 2006 in western Africa. It is estimated that there are as few as 4,000 black rhinos alive today. Reasons for the extinction of the species have been cited as poaching and a lack of conservation. The horn of a rhino is fabled to hold a range of mystic properties, from fertility to having the ability cure cancer. As such, the species is extremely popular with poachers and hunters. A favourite pastime of the wealthy and power elite, safari hunting is a cruel and violent practice which has contributed to the endangerment and indeed extinction of hundreds of different types of animals. Last week, a bizarre case involving rhinos which has its roots in Ireland came before the courts in New York. 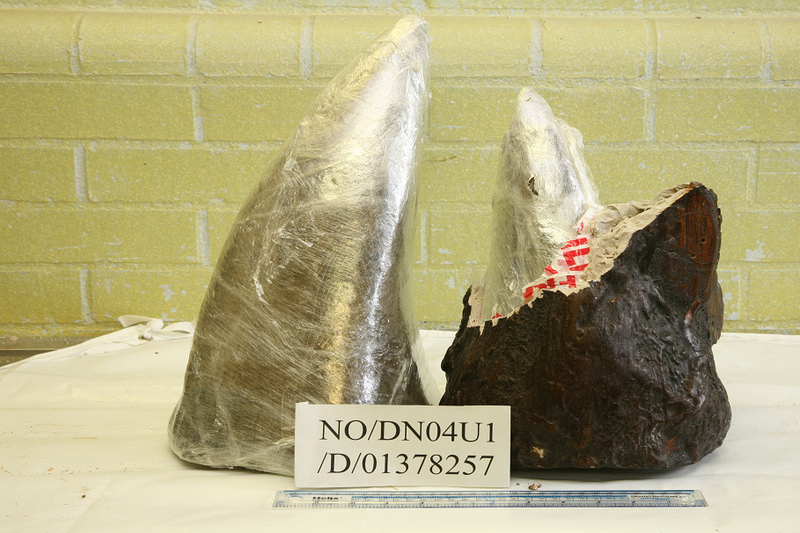 Irishman Michael Slattery pled guilty to charges he used forged documents to sell horns from endangered black rhinos to a New York collector for more than €35,000. Rhino horns are sought after for their alleged medicinal properties, as trophies, and are even used to make dagger handles in Yemen. The demand for Rhino horns has only increased as the size of the species has dwindled. It’s a sad but true fact that animals are needlessly killed every day for the amusement or gratification of “hunters”. The extinction of the Western black rhino is not surprising, but it is a tragedy nonetheless. Please add my name as copyright holder to the photo of the Rhino as agreed by “Creative Commons”…thanks. Please note that I will inform my lawyers now….